Queen were formed in 1970 when Brian May and Roger Taylor (both formerly with Smile and prior to that May had been in a teenage band called The Others) teamed up with Freddie Mercury (real name Frederick Bulsara), who'd been born in Zanzibar on 5 September 1946. Bulsara had come to live in England with his family in 1959 at Feltham in Middlesex just a short walk from Brian May's home although the two didn't meet until 1970. Bulsara had previously sung with Wreckage, who didn't make it onto vinyl. After some months of auditioning the line-up was completed by bassist John Deacon, a science graduate from Leicester. From early 1971 they picked up gigs whenever they could but continued to pursue their individual occupations. Their initial breakthrough came in November 1972 when they were signed by Trident Productions after some of the company's executives had attended a Queen concert on the recommendation of two of the firm's engineers who had heard a demo tape of the band. Trident financed a debut album, produced by the two engineers who'd 'discovered' them (Roy Thomas Baker and John Anthony), which was leased to EMI. EMI launched Queen with a gig at London's Marquee on 9 April 1973. Whilst the debut album was awaited Freddie Mercury recorded a revival of The Beach Boys' classic I Can Hear Music using the pseudonym Larry Lurex. It didn't chart. 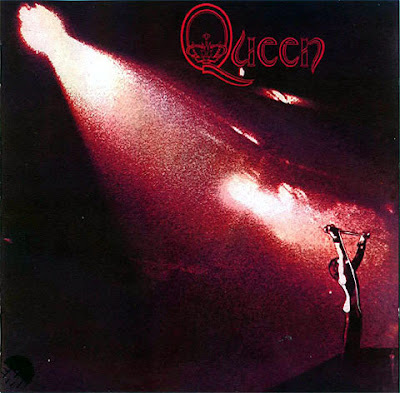 The same fate befell Queen's debut single Keep Yourself Alive. Their first album veered towards the hard rock of groups like Led Zeppelin although the style and posturings of frontman Freddie Mercury derived from the 'glam' rock era. Sales were slow at first, but eventually as the band became better-known it peaked at No 24 in the UK and No 83 in the US the following year. On 12 April 1974 Queen started a US tour as support to Mott The Hoople. Meanwhile, their second 45, Seven Seas Of Rhye got to No 10 in the UK. During the tour Brian May developed hepatitis and then a duodenal ulcer resulting in the tour eventually being abandoned in May 1974. This more or less coincided with the release of their second album Queen II, which got to No 5 in the UK and regenerated interest in their first album. Their third album Sheer Heart Attack brought them international recognition, climbing to No 2 in the UK and No 12 in the US the following year going gold. Among its finer moments were the excellent Killer Queen, a dynamic song with some good harmonised vocals, which was released as a 45 and also got to No 2 in the UK and No 12 in the US. The group toured the UK extensively to help promote their album and 45 during 1974. In February 1975 they turned their attention first to the States and later in the Spring they toured the Far East. Their next 45 Now I'm Here narrowly missed the UK Top Ten.